ACT Air Ambassadors will engage with the public by attending events where they can hand out air quality information, give out promotional materials, answer questions from members of the public, and help with set-up and break down before and after the event. Program coordinators are experienced volunteers that can help manage events and recruit other ambassadors. Coordinator responsibilities will include setting-up and breaking down events, being a point of contact for other Ambassadors, keeping count of the number of people reached at an event, and addressing questions that Ambassadors cannot answer. To become a Program Coordinator, you must have a meeting with a staff member to go over general air quality information, current air quality programs, and how to manage events. If you are interested in volunteering to become a ACT Air Ambassador, fill out an application form and a release form and submit them to CAPCOG. A staff person will get in touch with you about upcoming volunteer opportunities. Note: If you prefer not to use your email address, please contact me and I can sign you up manually. 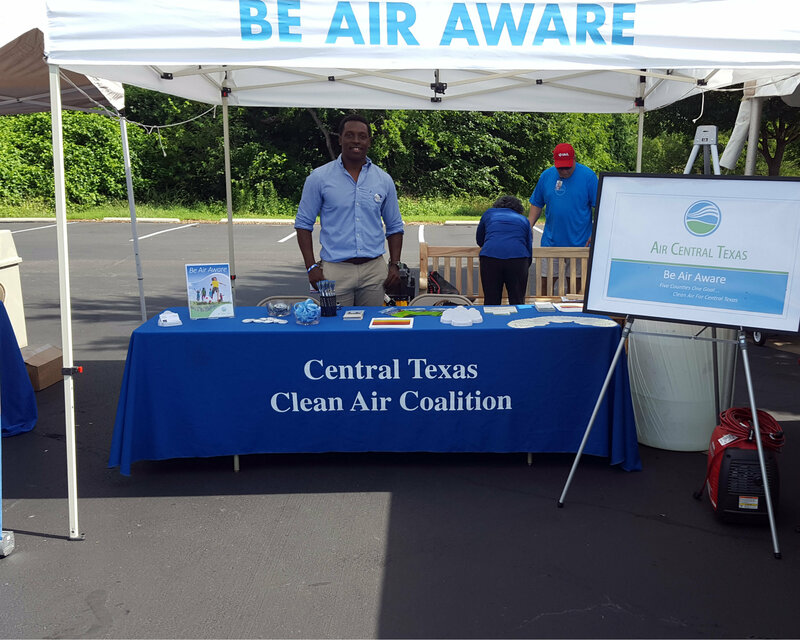 If you are sponsoring/hosting an event and would like an ACT Air Ambassador to provide regional air quality information, please let us know by contacting CAPCOG Air Quality Program Specialist Anton Cox at (512) 916-6043 or by e-mail at acox@capcog.org.